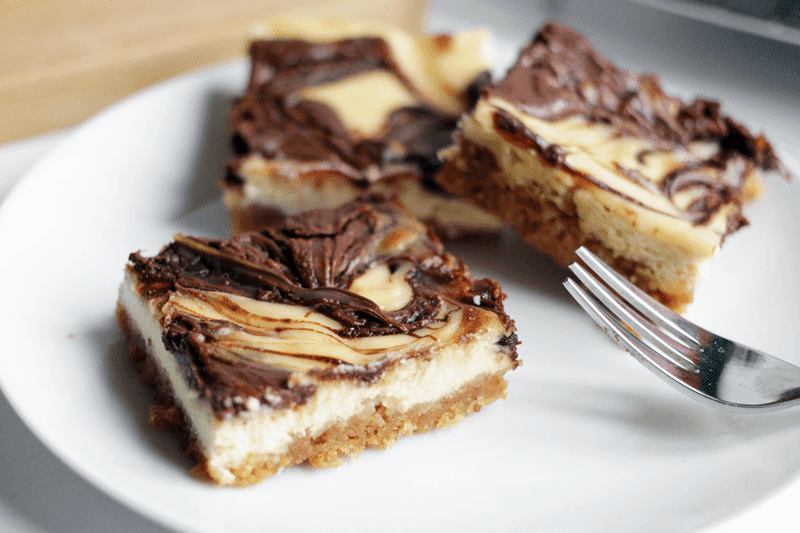 Well, it appears that I haven’t made cheesecake on this blog (and in general) since June! 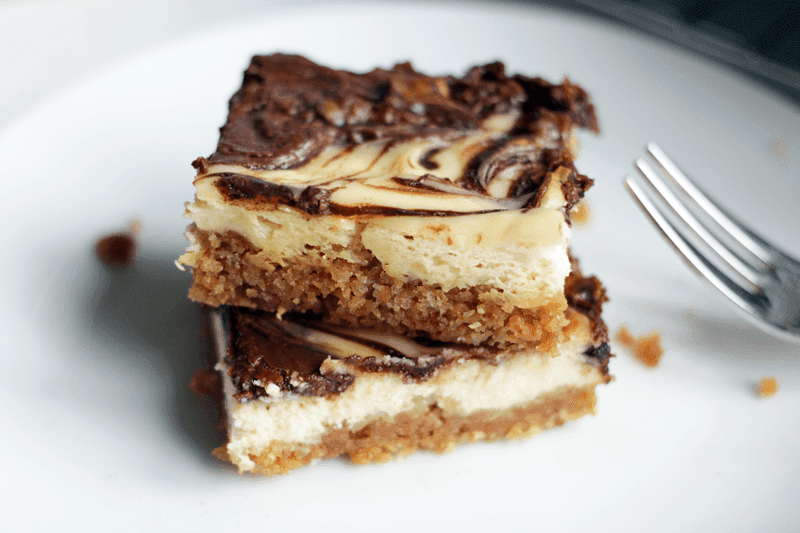 Such a disappointment as a) it’s so easy to make and b) it’s one of my favourite desserts. 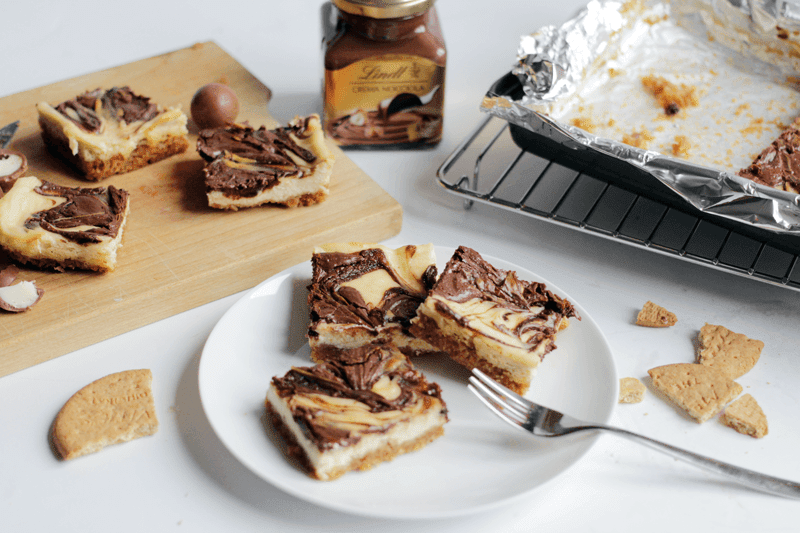 This was originally gonna be a Nutella cheesecake, but the lovely guys at Lindt sent me a huge box full of things to bake with, so I used their chocolate hazelnut spread instead (get it here). 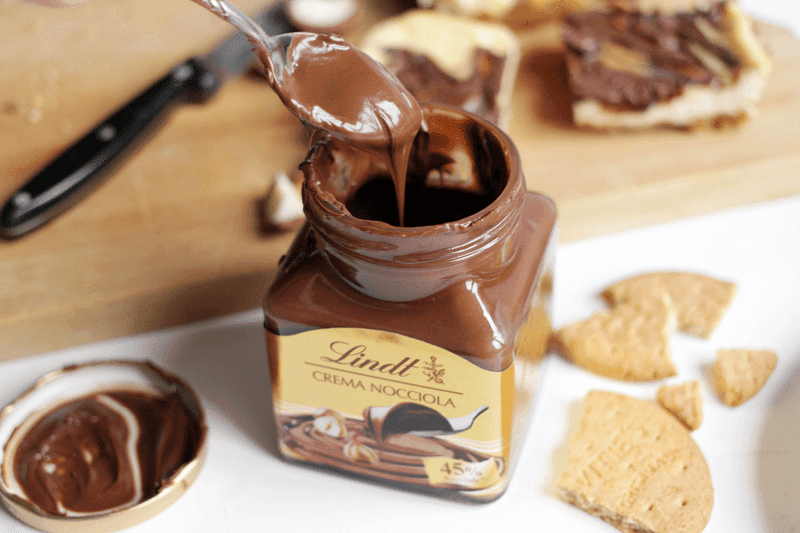 It’s more nutty and less sickly sweet than Nutella, which I actually prefer, and the chocolate part of it is divine as you can imagine from Lindt. So, without further hesitation, let’s get on with the recipe so you can have a crack at it yourself. It only uses seven different ingredients. Seven. Easy peasy. Step Two | Break down the biscuits into a fine crumb (using a food processor or a rolling pin, like I do). Combine the melted butter and sugar together, then add to the crumbs. Mix well until all the crumbs are coated. Press into the tin evenly and bake for 5 minutes then remove. 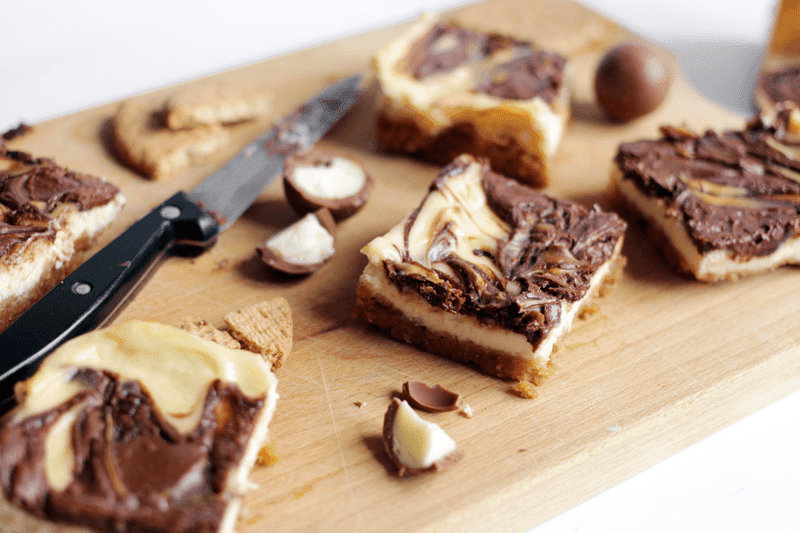 Step Three | While the base is cooling, mix together the cream cheese, egg, sugar and vanilla extract using a hand or standing mixer for around three minutes, or until very creamy. Layer over the base (when it’s cool) and make sure it’s even. 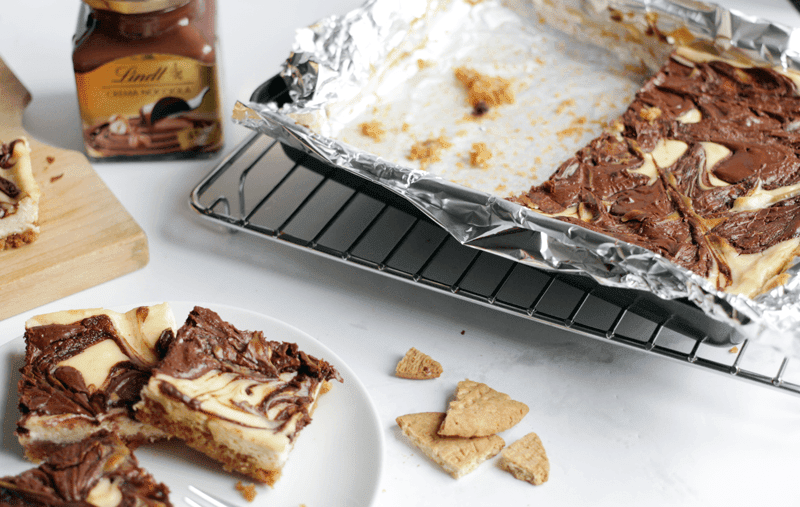 Step Four | Place large spoonfuls of Lindt chocolate spread on the cheesecake, then drag a knife, or toothpick if you want to make a pattern, through it to swirl everything. See pictures for reference, though mine could have been mixed a lot more! 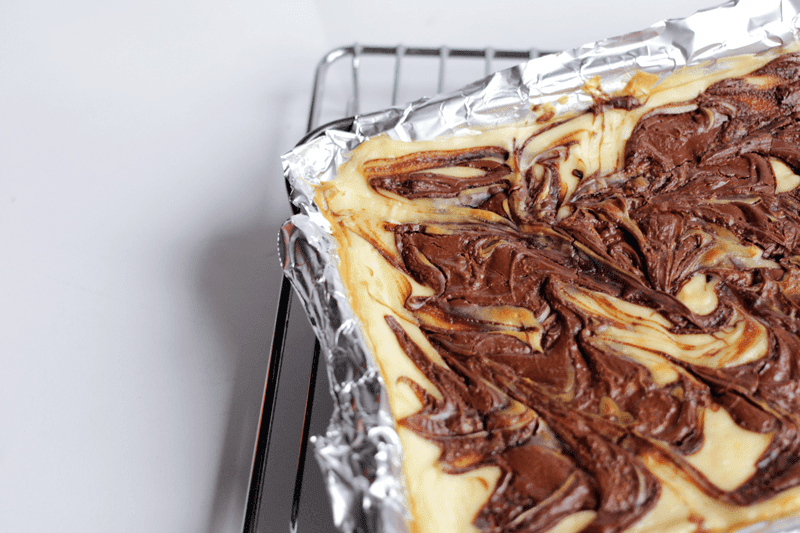 Place into the oven for 30-35minutes, until the edges start to brown. It’ll rise up a lot, but will sink when cooled. Allow to cool when removed, then place in the fridge for 3hrs to chill completely. You can store it in an airtight container for up to 5 days in the fridge. So, that’s it! It seems to take ages, but that’s mostly just chilling time when you can get on with your day. Realistically, it only takes about 20minutes of actual time spend doing something, so is incredibly quick when you think about it that way. 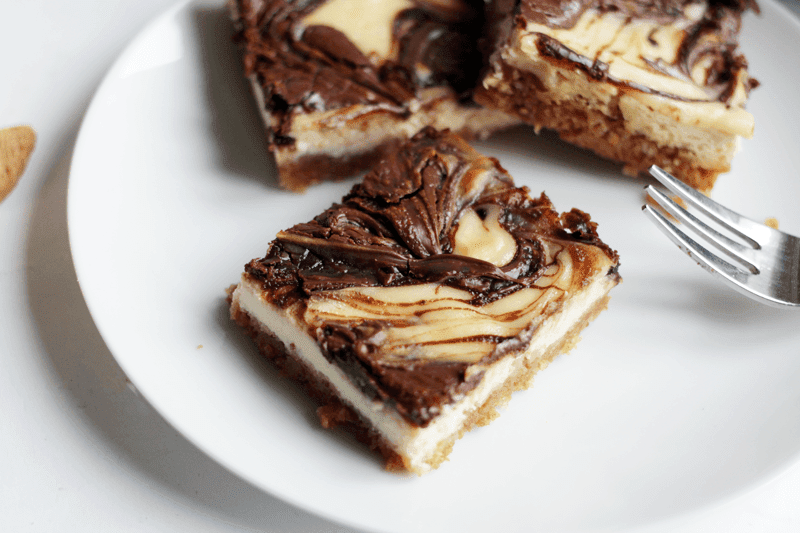 I promise you it’s worth the wait though, as it’s the most creamy and delicious cheesecake – I mean, who doesn’t love a chocolate spread topping? No one, that’s who. Let me know if you make this or any of my other bakes! Oh and enter my £85 Fossil watch giveaway – go go go!